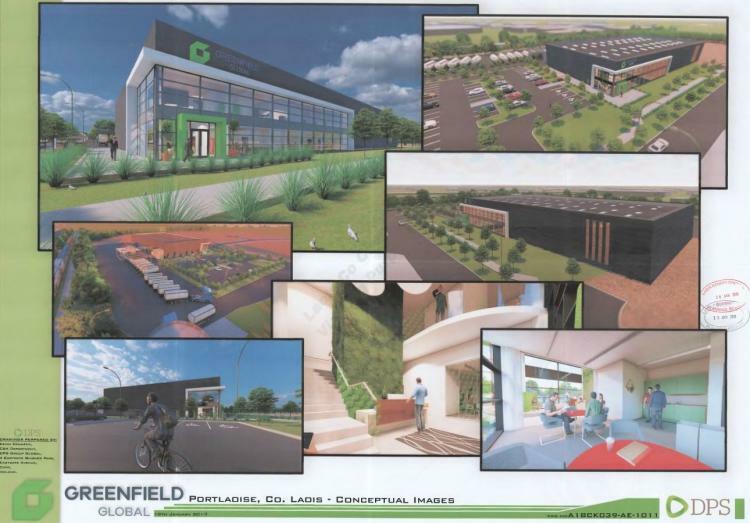 Greenfield Global, Canada’s largest producer of alcohol and fuel ethanol, and one of the largest alcohols and solvents companies in North America, today announced plans to set up a new EU manufacturing headquarters in Portlaoise. The project is expected to create 75 high-quality jobs over the next five years and is supported by IDA Ireland. The new roles will be in a range of operations; production, quality, supply chain, and sales functions. Greenfield, which has its headquarters in Toronto, Canada, has operations in 12 locations across North America. The company’s portfolio of products is used by customers in pharmaceutical, nutraceutical, life science, personal care, and food, flavour and fragrance markets in over 50 countries. The new 3,800 square metre manufacturing HQ in Portlaoise will be constructed on the IDA Ireland Business and Technology Park and is expected to be operational in Q2, 2020. Up to 100 jobs are expected to be created during the construction and fit-out phase of the project. Howard Field is the Greenfield President and CEO. “Our commitment to building a world-class GMP manufacturing facility in Portlaoise is our first foray into manufacturing outside of North America. “This facility will ensure we have the capacity to meet increased demand from our life science customers throughout Europe and the region. Greenfield is an ambitious company, focused on continually investing in innovation, our people, and our products. We are proud to have this opportunity to expand our operations and become a part of Ireland`s economic success," he said. Minister for Justice and Equality Charlie Flanagan, attended today’s announcement. “This is an important day for Portlaoise and the Midlands. The economic growth of our regions through the creation of sustainable jobs is a priority for Government and I am delighted to see this level of investment. "The significant number of jobs being created here today is a very welcome boost to the economy of Portlaoise and I want to thank the IDA for all they did to secure them. Most of all, however, I want to congratulate Greenfield Global. I look forward to their success, and indeed growth, here in Portlaoise," he said. Martin Shanahan is the CEO of IDA Ireland. “This is a most welcome announcement for Portlaoise and the entire Midlands region and one which will considerably benefit the economy of the region. "Greenfield Global is a welcome addition to the EIT sector here and will be an important support to the strong and growing life sciences ecosystem in Ireland, providing locally sourced, critical raw materials. I wish Greenfield Global every success with their plans. It is great to see further investment coming into Portlaoise," he said. Greenfield is the largest ethanol producer in Canada and owns and operates four ethanol distilleries, three speciality chemical manufacturing and packaging plants, and three next-generation biofuel and renewable energy R&D centres across North America.